I'll Smile is an original song written and composed at age 16 in 2016 by singer and multi-instrumentalist Yannick Koffi. At the age of 8 years, Yannick Koffi gained an endorsement with guitar manufacturer Fender. Yannick was also selected by the Oprah Winfrey Show and featured in their "search for the world’s smartest and most talented kids". In addition to Afro Caribbean, Reggae, Pop and Jazz, Yannick also admires blues influenced music. The General Electryk are a folk-alt-indie-rock band featuring singer/songwriter/guitarist Melanie McDonald and drummer/backing vocalist Angus Donnelly. Melanie's vocal style is an eclectic mix of blues-pop. Hooks are catchy, the backline is funk rock driven and the melody is contagiously sweet. With busking roots, this duo incorporates elements of creativity and fun using vintage luggage as drums. Like Dallas Green meets Natalie Merchant. Music for travelling folk. This debut album "Petty Little Things" was recorded by Glenn Forrester of Barstool Prophets fame. Sally Street released her pop-rock album 'The Scorpion Maid' in 2010. The album showcases 12 of her original catchy pop-rock songs with wicked lyrics recorded with an all-star band and mixed by Grammy Award winning engineer, Helik Hadar, in LA. Sally co-produced and co-wrote 'The Scorpion Maid' with her pianist Gerard Masters. This is her genre-crossing third studio album after releasing two Jazz albums. Artist and songwriter Kite (Jasmine Wilson) chose her stage name after closing her eyes and recalling a favourite childhood memory. She remembered the feeling of letting go of the kite string and watching frail paper fly up into the sky with music. For Kite, creating music is about discovering pure, free moments and allowing them to transpire as words and melody. Kite’s music has been compared to artists such as Washington, Feist, Fiona Apple and PJ Harvey. Her sound is both upbeat and mellow, dark and sweet, fusing a strong pop grounding with a mystical quirkiness. K.M is Keren Minshull, the lead vocal of the ARIA Award winning band, Euphoria. The band had three top 10 singles in Australia, including two number 1s and also hit the UK charts. 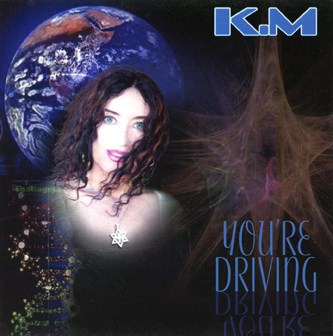 In 2011, K.M released "You're Driving" - the highly anticipated return of the one in a million voice of Euphoria. With her first solo album, K.M is back to her musical roots: groove-based and a departure from the dance driven heavy beats and vocal spikes of Euphoria. "You're Driving" is a storytelling concept album. The title of the album is an affirmation that you are directing all that happens in your life. Johanna is a singer and songwriter whose dynamic acoustic style blends together her Celtic heritage and her love of jazz and soul music. She's won awards for her original compositions in the 25th Australian National Songwriting Contest and the Musicoz awards and has given electric performances at the major Australian and international jazz festivals, including the Java Jazz Festival held in Jakarta Indonesia alongside Chaka Khan, Jamie Cullum and Level 42. Land or Sea is the 2008 debut album by James Hampton. The singer, songwriter and pianist released the album after a year of arranging and recording. Decent People was released by James Hampton in January 2011. The singer, songwriter and pianist teamed up with some of Melbourne’s finest musicians to bring you his second album. James will take you on a journey of jazz, funk, pop and soul. He draws inspiration from artists such as Randy Newman, Burt Bacharach, Stevie Wonder and Dr John. James will put you in a good mood with his quirky lyrics and positive upbeat music! 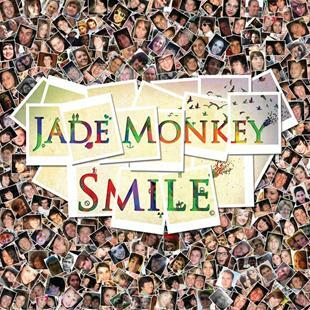 Jade Monkey is a 4 piece pop rock band from Sydney, Australia. Unearthed by JJJ, in 2010 Jade Monkey heralded the next evolution of pop punk. The melodies are catchy, the hooks infectious and the vocals upbeat. Frontman Dale Randolph’s pop-infused vocals at times convey an almost crooner-esque charisma. Hard-hitting punk rock riffs drive into soaring vocals and playful guitar musings. Jade Monkey are Dale Randolph - Vocals/Bass, Nic Barker - Vocals/Guitar, Max Harris-Brassil - Vocals/Lead Guitar, Dane Voorderhake - Drums/Sandwich Rap. Gerard Masters made his mark on the Australian Indie Scene in 2009 with his successful EP Spin which received universal acclaim and heavy rotation on Triple J radio and the ABC TV Rage music show. Gerard Masters Spin EP is a masterwork of melodic, rootsy, contemporary pop music. Carrie Lakin is a vibrant and dynamic singer-songwriter based in Sydney, Australia. A gifted entertainer, she has performed extensively throughout Australia as well as in Japan, New Zealand, the UK and the USA. Having already released a highly successful album of jazz standards and pop favourites, Carrie is very proud to release her debut recording of original material 'BOLD'. Italian singer Carlotta Centanni, now based in Sydney, released her debut album 'Respiro' in 2008. The album is the co-production of Carlotta and Stefano Malatesta, recorded at Blue Sound Studio Rome 2008. Carlotta captures the elegance of Jazz, the power of Rock and the heart of Soul. A must for fans of Nicola Conte, and Bebel Gliberto. Bek Kimochi by singer/songwriter Bek Jensen is an eclectic and captivating collection of alternative pop songs each with their own little story and soundscape. Recorded at Nut 'N' Butter Studio, Marrickville, Sydney with an all star line up including Calvin Welch, Hamish Stewart, Jon Zwartz, Tim Hall, Martin Hailey, Alphamama, Ngaire, Michael Wheatley and many more. The talent and energy is captured as a wonderful moment in an ever evolving artist's career. Sydney musician Bek Jensen is a quiet storm who rages to a pop banshee. She’s a cheeky, soulful electro-pop songstress, who aims to make the heart sing. If you like Gwen Stefani, Goldfrapp and Janis Joplin you won’t be diasappointed when you hear this woman belt out her tunes. Lucky is quirky, adventurous and soulful with each song delivering emotions that give the listener a thrill that only Bek can deliver. 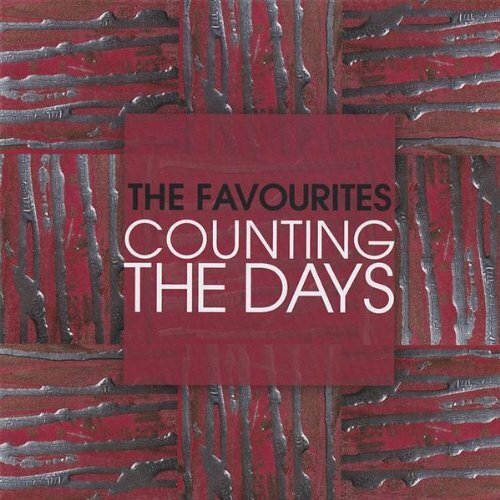 With edgy and very catchy sounds, it's fun to listen to on those days when you're feeling good, the sun is shining and everything is going your way.